Invader Zim, the short-run animated Nickelodeon series that eventually became a cult classic, is making a comeback. According to a recent report from Entertainment Weekly, the network has greenlit plans for a 90-minute television movie starring much of the original voice cast. 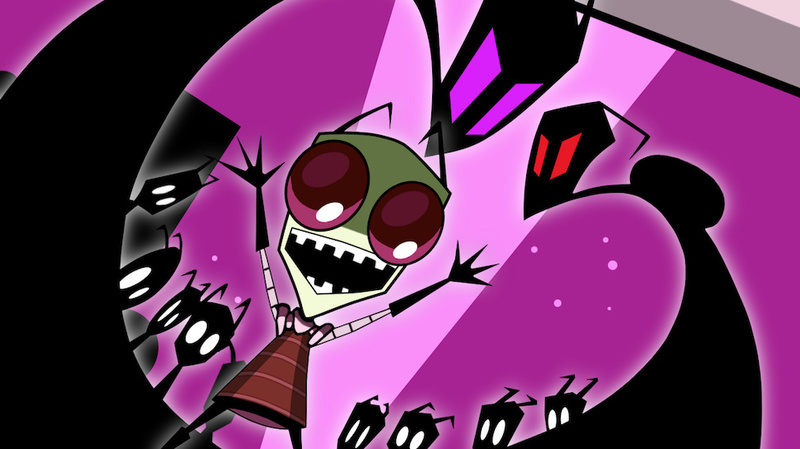 The series, which originally aired on Nickelodeon in the early 2000s, featured a bumbling alien named Zim tasked with infiltrating our society to prepare for a takeover / enslave humanity. The show was cancelled in 2002 despite the fact that it won an Emmy Award reportedly due to budget cuts and declining ratings. The publication notes that several of the show’s original voice cast members including Richard Horvitz (Zim), Rikki Simons (GIR), Andy Berman (Dib) and Melissa Fahn (Gaz) have signed on for the film project. Invader Zim is the third Nickelodeon animated series to get a new lease on life. Last year, the network revealed it was working on Hey Arnold! : The Jungle Movie which will serve as the definitive series finale as well as a one-hour special for Rocko’s Modern Life. Paramount, meanwhile, is said to be working on a feature film called NickToons starring a collection of nostalgia-inducing animated characters from shows like Ren & Stimpy, Aaahh! Real Monsters, Rocko’s Modern Life and Rugrats.